Actor Salman Khan, who was declared guilty of killing endangered blackbucks 20 years ago, is currently in Jodhpur Central Jail as 'qaidi' (prisoner) No 106 - he was sentenced to five years in jail on Thursday. On Friday morning, actress Preity Zinta was spotted at the Jodhpur airport, presumably arriving to meet Salman, with whom she has famously co-starred in films such as Har Dil Jo Pyar Karega..., Jaan-E-Mann and Chori Chori Chupke Chupke. Preity Zinta, who lives in San Francisco with her husband Gene Goodenough, shuttles between Mumbai and California through the year. Earlier this week, she arrived in India for the upcoming Indian Premier League. Preity is the co-owner of IPL team Kings XI Punjab. We have no confirmation Preity is in Jodhpur to meet Salman but the actor's fans have decided she is and are truly impressed by her commitment to their friendship and have flooded Twitter with posts on how she's setting friendship goals. 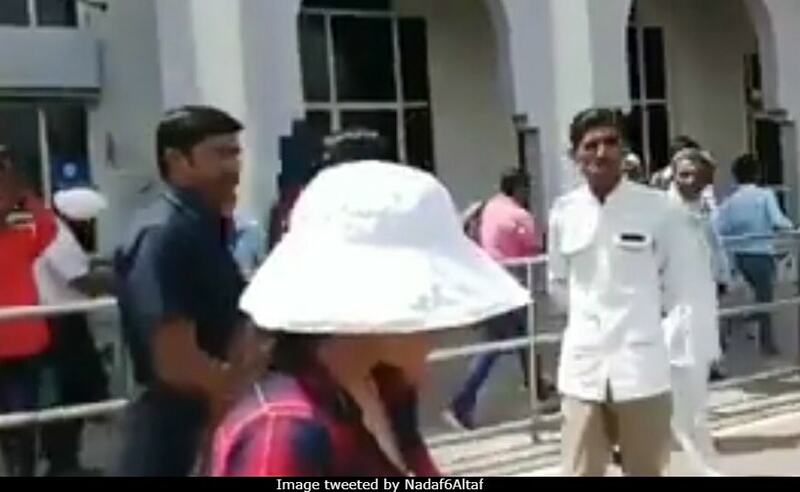 On Instagram or Twitter, there has been no post from Preity about visiting Jodhpur but a video of the actress exiting Jodhpur airport and quickly making her way to a waiting car is being circulated on social media. Dressed in casuals, Preity wore an over-sized hat and appeared to have been trying to evade the paparazzi waiting outside. Preity Zinta was also one of the first celebrities to have visited Salman Khan's Mumbai home after the actor was convicted in a 2002 hit-and-run case in July 2015. On Twitter, Preity had written: "Shattered after hearing the verdict. Hope the court sees Salman Khan has helped and saved hundreds of people over the years. #beinghuman." In December that year, Salman was acquitted of all charges in the case by the Bombay High Court. On Friday, here's how Twitter reacted after Preity's arrival in Jodhpur: "Preity Zinta in Jodhpur to meet and support Salman. Thank you Preity Zinta this is something Salman fans will always be grateful of," read a tweet from a fan club while another added: "Preity Zinta arrived in Jodhpur to meet and give her support to Salman Khan. This is called true friendship." Preity Zinta in Jodhpur to meet & support Salman. Thankyou @realpreityzinta this is something salman fans will always be grateful of. On Thursday evening, Salman Khan was taken to Jodhpur Central Jail after he was found guilty of poaching endangered blackbuck in Rajasthan while filming Hum Saath Saath Hain in 1998. Inside the jail, security has been pumped up for Salman, who has a cell to himself. The court will hear Salman Khan's bail plea tomorrow. Salman's Hum Saath Saath Hain co-stars Tabu, Sonali Bendre, Saif Ali Khan and Neelam Kothari have been acquitted due to lack of evidence - they were charged with inciting the actor to hunt. Last seen in 2013's Ishkq In Paris, Preity Zinta is awaiting the release of the much delayed Bhaiyyaji Superhitt. Salman Khan, who recently wrapped the Abu Dhabi schedule of Race 3, also has Ali Abbas Zafar's Bharat in his line-up.